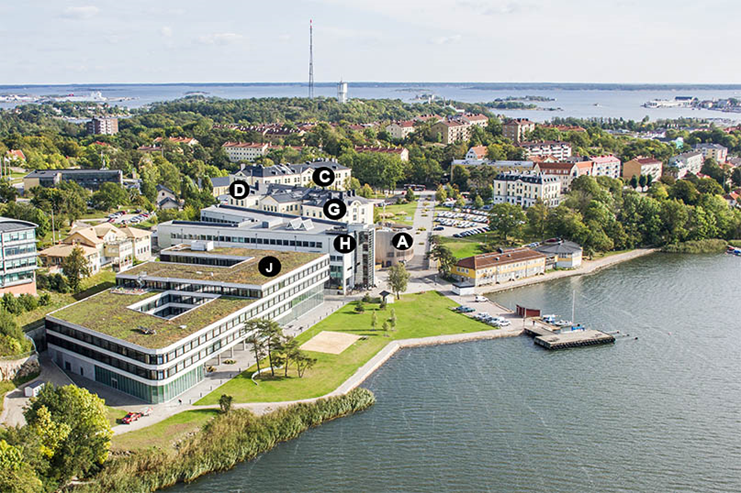 The conference will be hosted at the main campus of BTH - Blekinge Institute of Technology, a modern university situated in the 17th-century naval city of Karlskrona. BTH has a distinctive focus on applied IT and innovation for sustainable growth; additionally also offers programs in urban planning, industrial economics, design and health sciences. BTH is located in the Telecom City area and works closely together with many telecommunications and software companies. Know more about the Blekinge Institute of Technology by clicking here. Karlskrona, a UNESCO World Heritage site, preserves many of its original landmarks and baroque architecture. The city sits in the Blekinge archipelago of 30 islands, which forms a nature preserve that is designated as a UNESCO Biosphere Reserve. The region is also well known for its high-tech industry and is host to many leading companies. Get an impression of Sweden and Karlskrona by clicking here. There will be buses bringing delegates from downtown Karlskrona to BTH (J building, where the conference will be hosted), and taking them back.